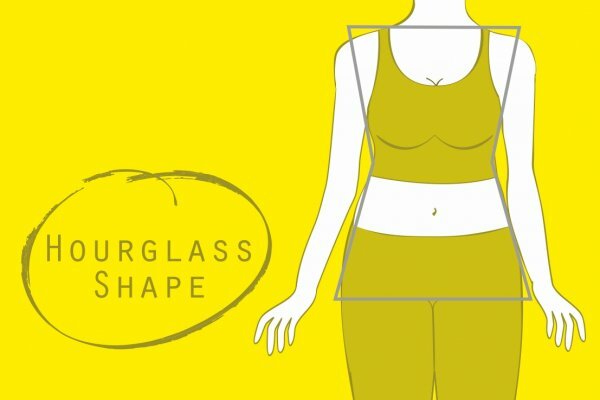 What does it mean to have an hourglass shape? 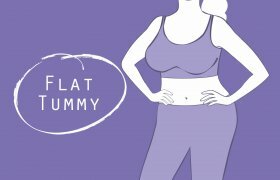 If you are an hourglass your bust and hips are well balanced. Your shoulders are aligned with your hips. You have ample neck and full face. Your upper body is proportionate in length to your legs. 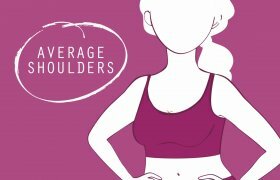 In most cases hourglasses will have average shoulders in line with their curvy hips, flat tummy and average bust. Ultra soft fabrics that fit next to skin are a huge trend across all the yoga studios in USA. Throw organic cotton and natural fibers into the mix and you are it! In spring lighter colors with flower or leaves designs in light blues and oranges are popular on the coasts. Multiple pockets (often more than three) around the waistband make yoga pants extremely useful (and add somewhat to the price-tag). Shadowy stripe design on the tees and sweaters are present in all colors and hues. From soft pinks to mints, from grays to blacks. Pastels definitely! Gray, black, burgundy, emerald and beige is seen in the largest department stores in Europe. Dark colors, deep hues, detailing in pink and light gray. Form fitted tops and oversized hoodies and no none-sense colors. Airy fabrics, again, mostly in wine tones give you a relaxed look even on the most hectic days. flavor by choosing a tropical pattern. Definitely looks great on hourglass of any size! Form fitting tops look great on hourglasses. Tops with details around the waistline add an elegant touch and do not restrict movement. Yoga wide-leg pants are a great choice for hourglasses. All types of leggings look phenomenal on hourglass bodies. When choosing a sports bra you can go with thin straps and creative back details. Form hugging tops look great on your figure. Go full bloom with these fitted long and short tops. If using loose-fitting tops go for brighter colors around the bust. You will be able to wear those to your yoga class as well as on your afternoon run to the shopping mall. Flowing tops should be tied at the waist to highlight your natural shape. With leggings and yoga pants go for abstract patterns and bright colors. Mesh inserts in leggings and capris will provide extra ventilation (read comfort!) and add to your balanced look. Always chose pieces that you can layer easily for more comfort.